This is a fly by post. There's a break in the rain and it's sunny now. We have been waiting for 3 days to go camping, my hubby's crazy idea. Before I left I wanted to do a quick post of a few things that have been going on. First, thank you all for your lovely comments and the time you take to do so. I have been so remiss to respond but I plan to when I get back. Yesterday, I tried using Feedly to visit everyone's blogs but I hit a button that wiped out my blog post count! I was not to impressed and ended up shutting it down. I'm trying to use my blog reader on the side to catch up with people since me and Feedly are not talking to each other for awhile. I mailed out three little packages two weeks ago and only one has arrived, in England. The one to the States and UAE has not arrived yet. Hopefully this week. I forgot to take photos of all three...sigh. Hopefully the recipients will take photos! **wink wink** I started my granny stripe last night and it's more a curly pink mess than anything interesting as of yet. I made a teensy bit of progress on Magic Garden. I'm letting dear Maggee catch up! Plus the fence is taking awhile to stitch up. 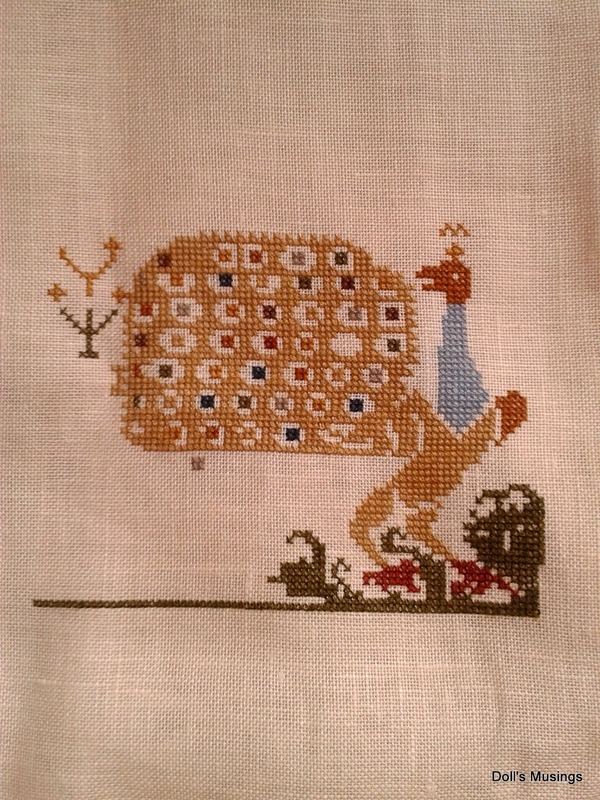 I tackkled that pesky peacock and have been making headway. I want to start on other motifs so I'm trying desperately to finish him. Knotgarden's progress is abysmal yet progress is progress!! I'm also starting another Spring/Easter mailart exchange with Meari. I've got the fabric and patterns picked out to start when I get back. Pretty excited to see how this one turns out! There's also another few Raks I want to stitch up, start Sarah Chapple, work on my quilt (snorts...yeah right! ), and continue working on my granny stripe. Hopefully all will get done by the time Spring Break ends! I am always hopeful!! Take care everyone! I'll be back with some photos of our trip. Hopefully we won't be too cold out there....crazy man!! Lucky you!! 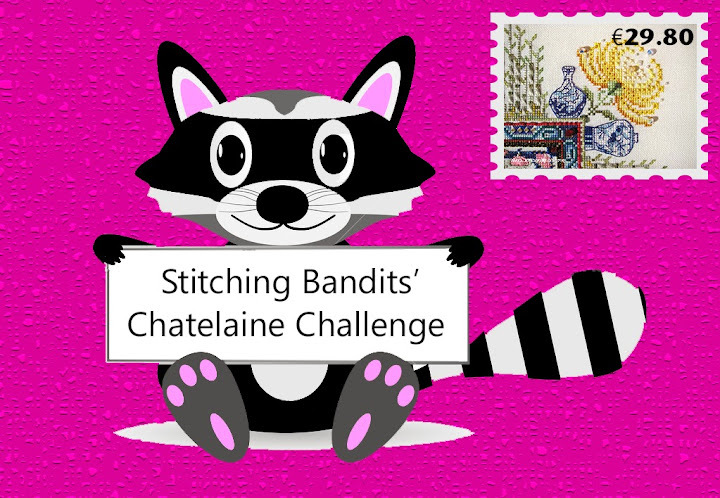 Have fun on your camping trip :) lovely update on your stitching projects. Your WIPs (and flowers) are beautiful! Have fun camping! My that is a big peacock! Love the granny stripe colors. You sure have a lot planned for one Spring Break! Have a great time camping. That sounds way too cold for me. Oh, you can just read the blogs right off your dashboard. I do. Have a great trip! And any progress is good progress. 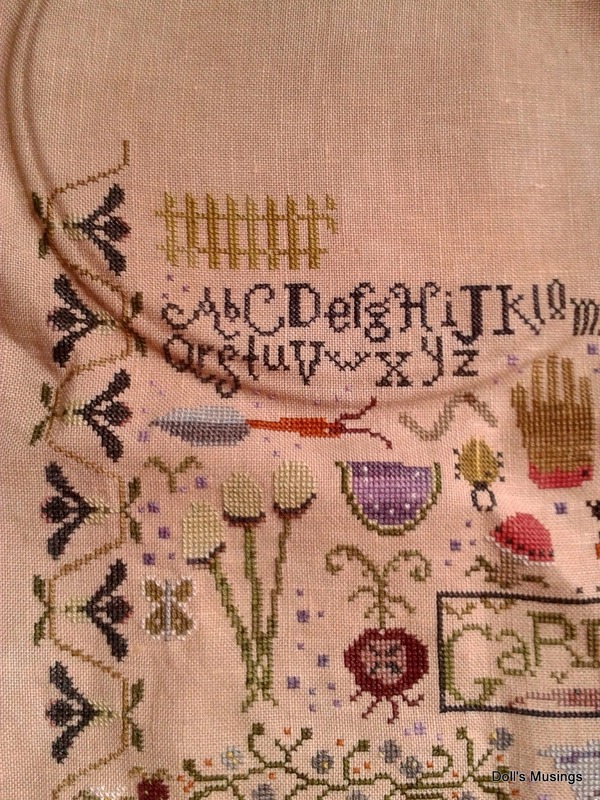 Lovely progress on all your projects Anne. Have a fun trip. Anne, I hope you guys have a great camping trip! Talk to you when you're back! 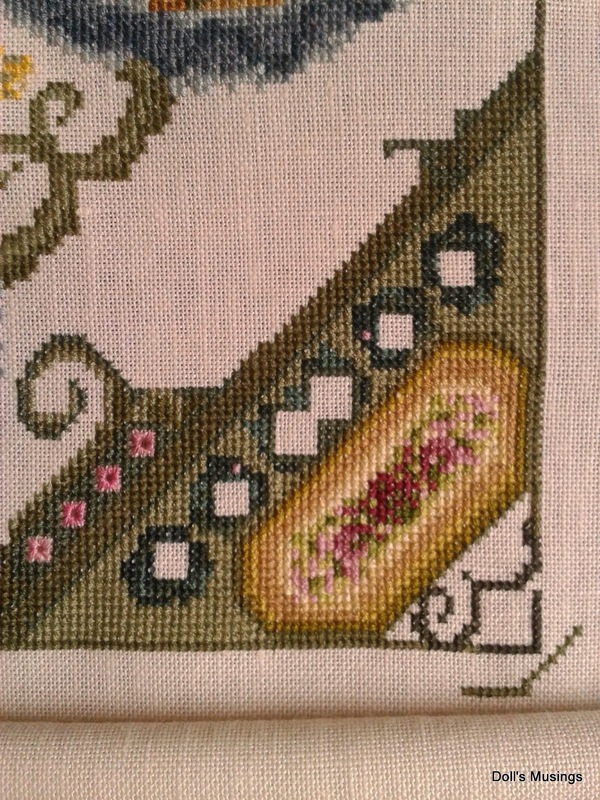 ps Nice stitching in progress! Have fun camping! Don't get eaten by a bear!! O___O! Dang that is some effervescent yarn. That whole basket! Such an interesting group of projects in your rotation. Lovely stitching and that yarn is such a beautiful color! Hope your camping weather is nice. The flowers sure make seem so. Have fun! Wonderful progress on all your wips. Have a great and fun trip. I think you will need another week off to recoup from your spring break - lol. Pretty stitching,I love Magic Garden.Beautiful photos too. Have a lovely trip, I hope the weather behaves now we are officially in spring. Great colour choice for your blanket. Safe travels and stay warm and dry! Love your yarn for your blanket! Love the stitching too! So pretty! 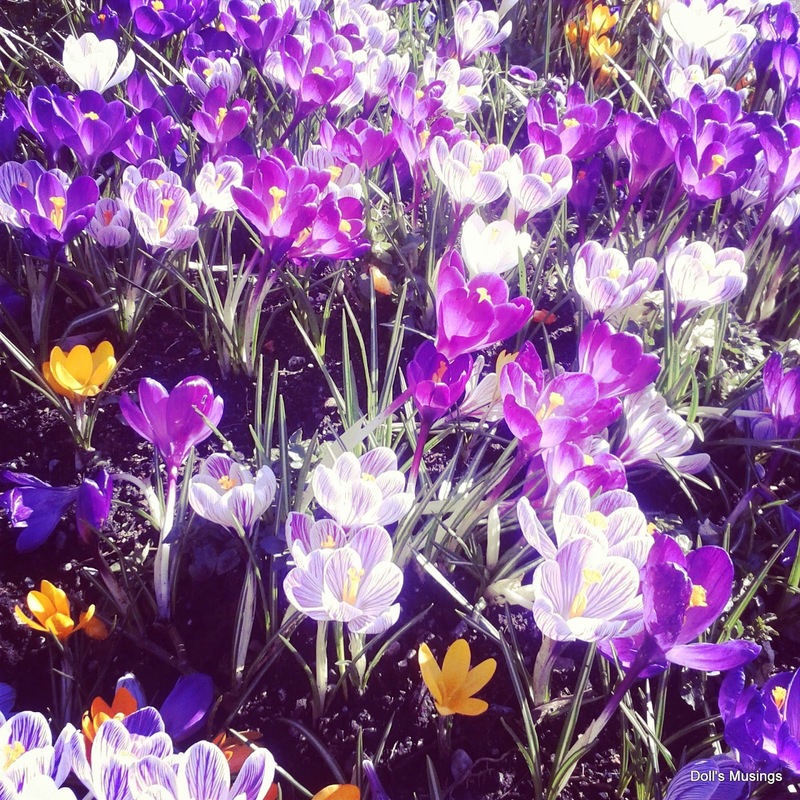 Crocuses -- love crocuses! 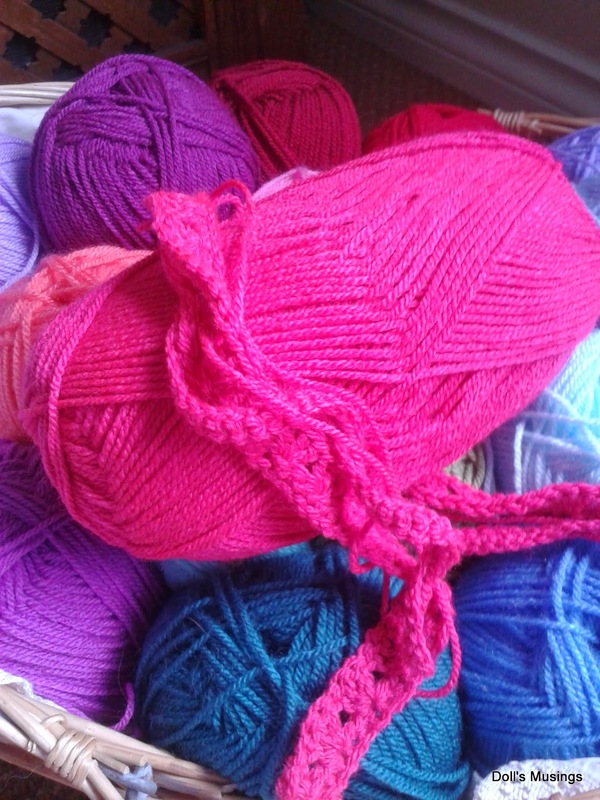 What lovely WIPs! Have a great time on your trip!! Your WIP's are beautiful... but a bit too more work for me ^^ I hope you're enjoying your trip. Hope you are enjoying your camping trip. Beautiful WIPs. those flowers are smelling Spring ! it seems that today the sun has gone camping too !! Have a great camping trip!! Hou Will have a blast off Joy!! Your stitching progress Is awesome. You Done so many. And still wanne start more?? Your WIPs look great. And the flowers are really lovely! You are definitely keeping your needles busy. Love the colors you've chosen for your Granny Stripe. Hope it's not too damp and cold camping. I am itching to get out and about myself but the snow and frigid air keep on. Supposed to reach below -20 tonight!!! This is CrAzY! Gee--I hope that you are having a warm camping trip! Not fun when it is cold! I enjoy seeing your progress on our SAL. Sadly I will not catch up, but I will finish it soon enough! Hugs! I like Feedly but ONLY for reading posts. You have to jump through too many hoops to try and COMMENT on blogs on the iPad on there for me. SUPER fiddly. Hope you enjoyed your camping trip:). I love your bright colors of the yarn for granny stripe. It is very pretty. Nice progress on your crosstitch pieces too. 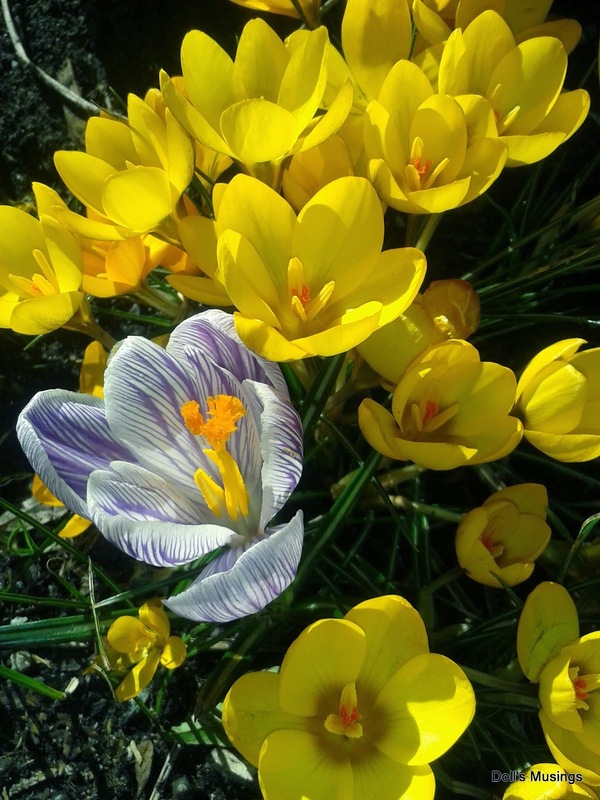 Love the flower pics…sure does sing spring. Ha! That fence was nearly the finish of me, lol! 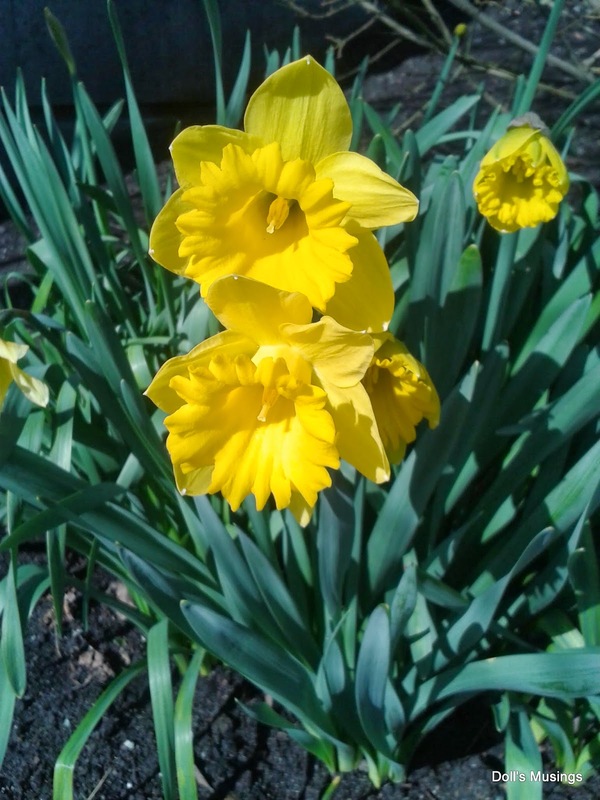 Love the springy pictures, wish it would come here in Michigan! The snow has nearly all gone though! Since you wrote this almost a week ago, I assume you are back from your camping trip, Anne--hope the weather cooperated and you had a wonderful time with your husband and all that nature. I'm sure you got some wonderful photos. Your work is lovely. Enjoy your camping trip.